Liner Legal’s Cleveland office is located in the Old Brooklyn neighborhood, within the Recovery Resources building. Free street parking or validated (free) parking in the MetroHealth garage next to the building is available. 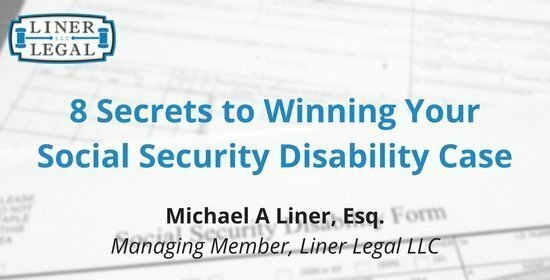 Filing for Social Security disability can be a challenge, but our experienced attorneys at Liner Legal are here to help you. Don’t hesitate to contact Liner Legal today at 216-282-1773 – your disability lawyers in Cleveland. Old Brooklyn is only ten minutes from downtown Cleveland. 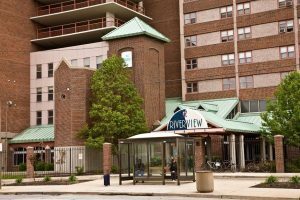 Our office is just a short walk away from the famed Cleveland Metroparks Zoo and is easily accessible from the three major highways: Interstates 480, 90 and 71. Both Cleveland and Old Brooklyn are home to a wide range of medical professionals. For our clients who have a physical or mental condition, there are many hospitals and clinics in the area that provide incredible health care. 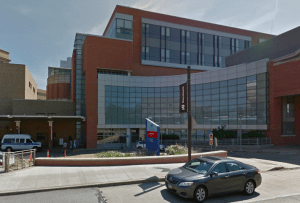 To start, Liner Legal’s Cleveland office is located right next to the MetroHealth Old Brooklyn campus, and the MetroHealth main campus is just five minutes down the road. The Greater Cleveland area has more than 10 Cleveland Clinic locations. MetroHealth’s Old Brooklyn Health Center Location is conveniently right next to Liner Legal’s Cleveland office. The two actually share a parking garage! 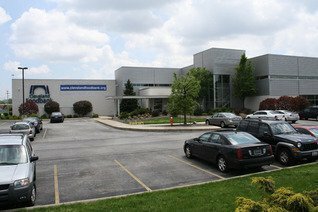 This healthcare location is only a short distance from three major highways: I-71, I-480, and OH-176. 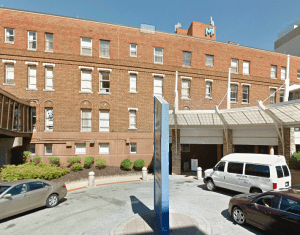 The Old Brooklyn Health Center provides inpatient rehabilitation, outpatient medical care, senior health services to those 55 and older, as well as an onsite pharmacy. Five minutes down the road from Liner Legal’s Cleveland office is the MetroHealth Main Campus. This MetroHealth location is only a few minutes from I-90, I-71 and I-77. The main campus offers a different type of healthcare, in the form of trauma, emergency and critical care to patients. This location is a Level 1 Adult Trauma and Burn Center, and specializes in heart, cancer, stroke and rehabilitation care. There is also an experienced nursing home facility onsite. Only a 10-minute drive from our office is the Ridge Road Neighborhood Family Practice location, which provides affordable healthcare to the community, regardless of ability to pay. The healthcare center provides medical care for all ages in the form of minor surgery, checkups, mental health services, infant care, refugee services and a flu clinic. The location, which is one of five in northeast Ohio, is also bilingual. Care Alliance provides medical and dental care to individuals who are homeless or are living in Cleveland public housing. All services are offered on a sliding fee scale, which means what you pay is based on your current income. The medical care that Care Alliance provides to the community is medication assistance, cancer screenings, physical therapy, outreach medical care and medical case management. 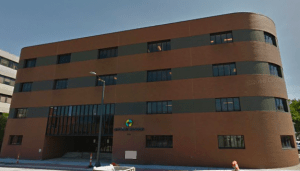 The Care Alliance office on the “west side” of Cleveland is located 12 minutes from Liner Legal’s office. Thirteen minutes from our office is the Charak Center for Health and Wellness, which specializes in psychiatric, psychological and counseling services. The location provides family and group counseling, programs for drug and alcohol addictions, treatment options for depression and other mental disorders, as well as case management. ViaQuest is a healthcare facility that focuses on behavioral and mental health. In addition to treating patients with mental disorders, the staff at ViaQuest assists with home health, hospice, and developmental disabilities. For home health, skilled nursing helps create individualized treatment plans. For those with developmental disabilities, ViaQuest aids with job placement and training, residential services and support, teaching life skills and assisting with behavioral issues. ViaQuest is located 12 minutes away from Liner Legal. We are proud to say that Cleveland Clinic is ranked #2 again by U.S. News & World Report’s 2017-18 Best Hospitals. The Cleveland Clinic’s heart program and urology program also ranks #1. The Independence Cleveland Clinic Family Health Center location is only a 15-minute drive from our office, where it provides express care, lab and pharmacy services. In terms of smaller healthcare centers and clinics, Cleveland is not short-handed of these facilities either. The Centers for Families and Children is nearby, where they offer help to families and children in need through programs focusing on health, job assistance, early learning and work-life balance. 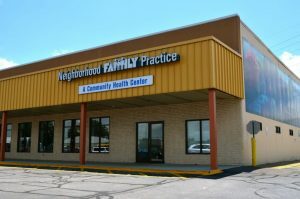 Our office is 10 minutes away from a Neighborhood Family Practice location, where they provide affordable care. The Care Alliance Health Center is another community health center that provides medical and supportive services and doesn’t turn you away based on ability to pay. 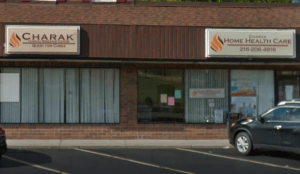 The Greater Cleveland area also has Charak Center for Health and Wellness, as well as ViaQuest; both have psychiatric and counseling services. In addition, Premier Physicians and NorthShore Healthcare joined together to provide better quality care in Northeast Ohio. NorthShore Healthcare largely treats conditions dealing with the bones and muscles. The NorthShore Primary Care location in Avon is a 30-minute drive from Liner Legal. Premier Physicians is a medical center that focuses on both family and internal medicine, with 25 medical and surgical specialties. Only six minutes away from Liner Legal is their Cleveland facility, which handles outpatient surgery, diagnostic services (labs, x-rays, testing), and therapy services. Premier Physicians offers physical therapy for a multitude of issues, including fibromyalgia, work injuries, arthritis and chronic pain. 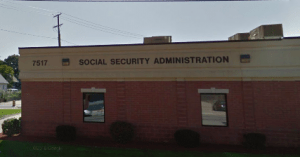 Where are Cleveland’s Social Security offices? Do you need to visit a Social Security Administration office, but you don’t have the means to travel very far? 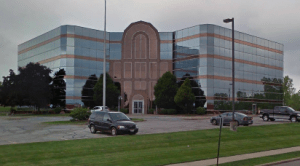 Do not worry because there are eight office locations in the Greater Cleveland area. The offices are also accessible via phone at (800) 772-1213, if you need to contact the administration to apply for Social Security disability benefits. Each Social Security Administration office offers the same services either in person or online. These services include learning and applying for disability benefits, appealing a decision, and getting information about managing benefits, Medicare prescription or drug plans costs, and Cost-of-Living-Adjustment (COLA). 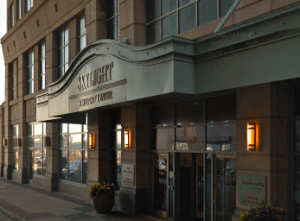 This SSA office is located in the heart of Cleveland. It is the closest office to Liner Legal’s Cleveland location. This office is on the 7th floor in the Federal Building, which is across from Cleveland’s City Hall. You will need a photo I.D. to enter the building. Parking is not available at this building, however, people are allowed to be dropped off at the main entrance. Those who need to get to this office can also take Loop Bus. This is the Shaker Heights Social Security Administration office and is less than a mile from Shaker Square. Those looking to visit this SSA office may either drive to the location and park onsite or take the bus. Bus 8 has stops at both Buckeye and East 116th Street. In addition, Bus 11 stops at Buckeye-S Moreland and Woodland-Woodhill. The South Waterloo SSA office is conveniently located right off of I-90. Once you’re on the highway, take the 152nd Street exit. Parking is available at the Social Security office. The Lorain Social Security Administration office has onsite parking available to those needing to visit this location. The office recommends applying for disability benefits online before scheduling an appointment. This office also has self-help computers. The Lakewood Social Security Administration office is located right across the street from St. James Catholic Church, which you can see in the above photo. There is parking available at this office. The Warrensville Heights SSA office has available onsite parking. At this office, there are self-help PC’s available for public use. The Beachwood SSA office is a self-help office. This location can be found right off of I-271 next to the Indigo Hotel. There is parking onsite for the Beachwood office. 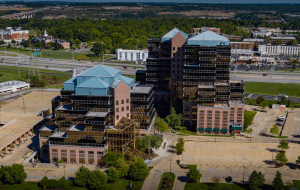 The Middleburg Heights Social Security Administration office is only a 20-minute drive down Pearl Road from Liner Legal’s Cleveland location. This office has onsite parking and is located right across the street from Tomon & Sons Funeral Home. 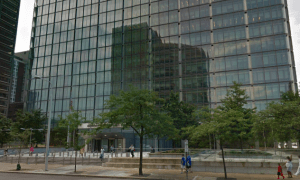 Where do our Cleveland disability attorneys go to court? In Cleveland, we are lucky to have a multitude of accessible resources located closely together. This includes having a Social Security disability hearing office right in Cleveland. Should your case need to go to the hearing level and appeal your case, you will find that the hearing office is only a short drive from Liner Legal’s Cleveland office. What are other local Cleveland resources available to the community? Liner Legal’s Cleveland office is also close to many other resources that individuals with disabilities could benefit from. We are located in the Recovery Resources building, which is an organization that has prevention, intervention, treatment and supportive services for those in need. Their services include mental health treatment, psychiatry, medical care, employment, housing, and drug and alcohol prevention. People can also utilize The Greater Cleveland Food Bank. It is the largest hunger relief organization in Northeast Ohio, which they are able to do through a community food distribution center and SNAP outreach efforts. If you travel to the west side of Cleveland, people can also find other helpful resources. In Lakewood, there is a Bureau of Vocational Rehabilitation (BVR) location. BVR helps individuals with mental or physical disabilities find and maintain employment. A little further west, in Westlake, is Youth Challenge. This organization serves more than 200 children and young adults with disabilities each year by providing programs that include adapted sports, recreation, and social growth activities. What to do in the Cleveland area? The city of Old Brooklyn is a hidden gem in Cleveland. The area has a mix of old and new businesses that you won’t want to miss visiting when you’re in the neighborhood. 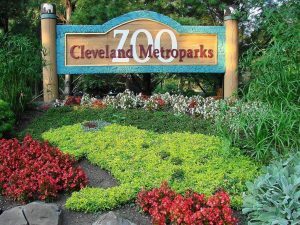 During the spring and summer months, spend the day with the animals by visiting the Cleveland Metroparks Zoo. Afterwards, stop by Honey Hut and grab a delicious scoop of ice cream. If you’re looking for a great place for lunch or dinner, you cannot go wrong with The City Diner serving up classic dishes, such as a Reuben or a plate of pierogies. On the other hand, if you’re looking for a quick treat the place you want to go is Jack Frost Donuts. Their donuts are made from scratch every day. If you have the time to venture down the street to Ohio City and downtown Cleveland, you can find even more activities and great food. 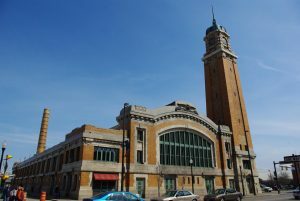 The West Side Market is a six-minute drive from our Cleveland office, where you can do your grocery shopping or indulge in the food from one of the culturally diverse stands. The bratwursts at Frank’s Bratwurst and the gyros from Steve’s Gyros are always a huge hit. Are you unfortunately in a situation where you have a disability that is keeping you from maintaining a job for more than a year? Don’t go through this process alone; contact a Social Security disability lawyer to help you with your application for Social Security disability benefits. Nobody anticipates getting injured, especially when it is an injury that prevents them from maintaining their current employment. If you have a long-term disability plan through your employer or yourself and meet that insurance plan’s definition of a disability, we can help you with your claim. Everyone is entitled to the same rights, and that includes those who are Deaf or hard of hearing. If you are refused a service or accommodation based on your ability to hear, you are experiencing discrimination. At Liner Legal, we will fight for your rights. If you or a loved one needs assistance with a Social Security disability, long-term disability or Deaf discrimination case, contact our office today! You can reach us by calling 216-282-1773 or filling out an online contact form. Our disability warriors are ready to help you with your case!